WHAT IS ONE OFF PRODUCTION? 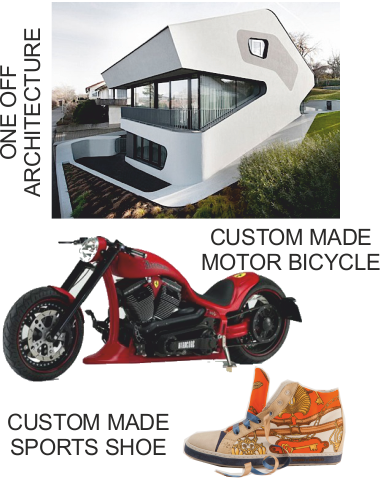 One off production is the manufacture of a single product/item. This can include large scale projects, such as a bridge, ship, stadium, multi-storey building or tower, Other examples of one offs are - specialist jewellery, made to measure clothing, bespoke furniture and many more. Specialist companies manufacturing ‘one offs’, usually employ skilled staff. This folding lounge chair is a ‘one off’ product. It has been manufactured by a skilled worker. Specialist tools and equipment have been used. 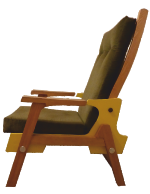 This is the only lounge chair of its type, every part has been hand made. 2. A skilled workforce - eg. engineering / cabinet making. 3. Specialist materials often used. 5. Products expensive, due to the level of skill required to manufacture them and cost of specialist materials. 6. A high standard of quality control. 7. Products manufactured for a specialist market / clientele.